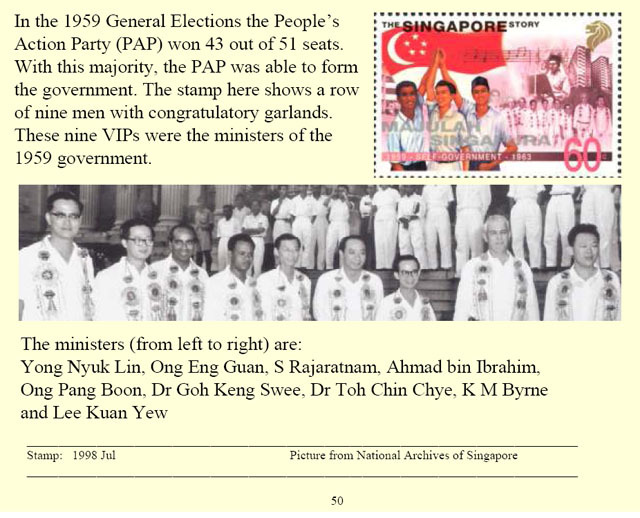 In the 1959 General Elections the People’s Action Party (PAP) won 43 out of 51 seats. With this majority, the PAP was able to form the government. The stamp here shows a row of nine men with congratulatory garlands. These nine VIPs were the ministers of the 1959 government.